December 2: “Put up tents after the rain was over and soon had to pull down. Went out about a mile formed in two lines and put up one line of works. Picket firing commenced and some artillery in the direction of Murfersboro but no news from there. Some rebs wer visible…”. [Union Surgeon]. Dr. Abraham Landis Archive. A large archive of over 450 letters relating to Union surgeon, Dr. Abraham Landis, with approximately 189 letters from Dr. Landis, dating from April 5, 1862 – April 24, 1865. Many of the letters are accompanied by their original transmittal covers. Landis’ early letters detail about his medical work in Tennessee near Nashville. In 1863, he was captured by the Confederates at Chickamauga and was taken to Libby Prison, and the archive has two letters from his time there and one immediately after his release. About half of the letters then cover his service in the Atlanta Campaign, the Battle of Resaca, movements on and around Dallas, Georgia, and on Kennesaw Mountain. 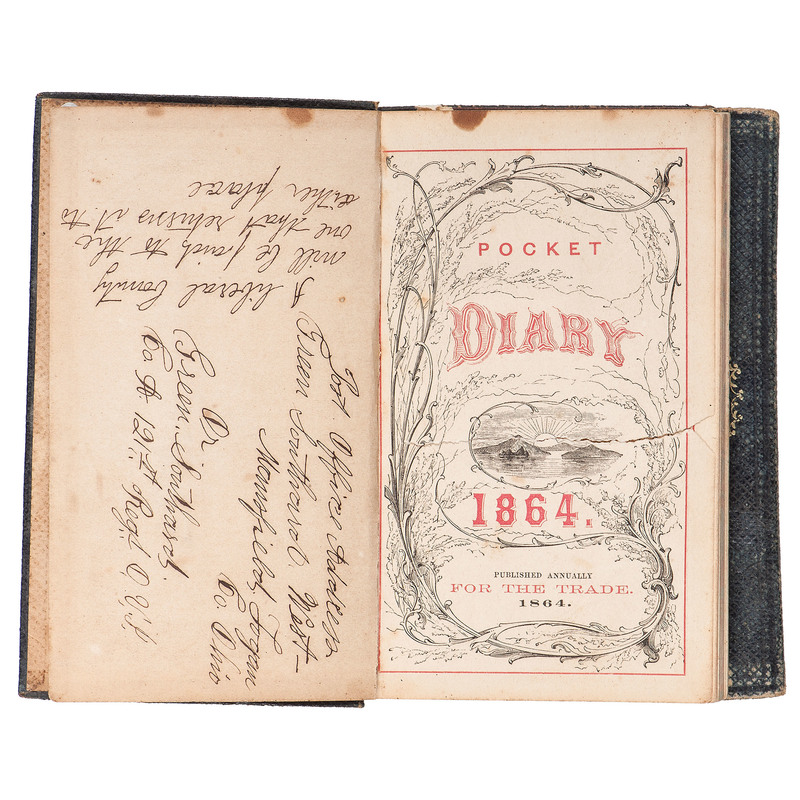 Landis was then seriously wounded at the Battle of Kennesaw Mountain, and his letters that follow are about his recovery in hospital. 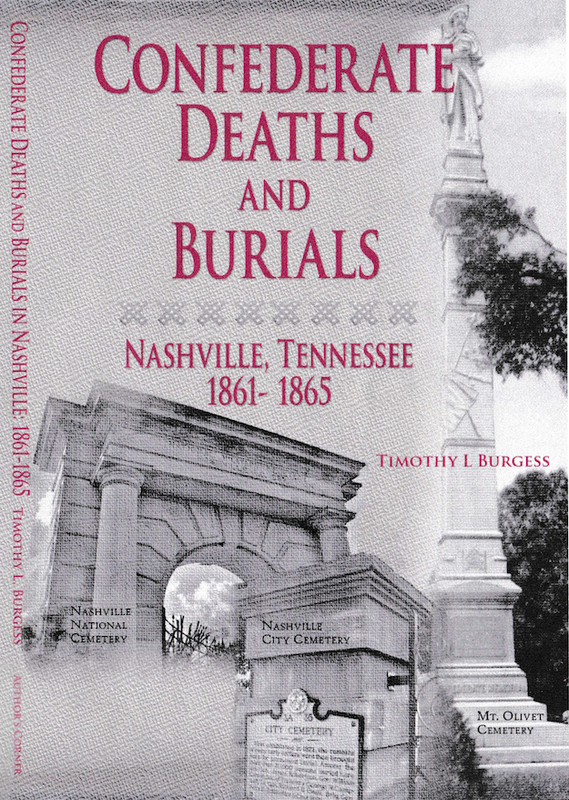 Historian Timothy L. Burgess has recently published a significant work on Confederate deaths burials in Nashville. Perhaps no one knows this subject better than Mr. Burgess, who has been researching the subject for nearly four decades. You who are in your comfortable homes in the north can form but a small idea of the amount of suffering caused by the war aside from the soldier’s life. In this town are hundreds of families (refugees) who have no place to live except in the tents furnished them by the government and they all draw rations just the same as the soldiers. A great many of them are women with children whose husbands and other friends are dead or in the rebel army. One night week before last it was very cold, and a train came in loaded with refugees and they had no place to go to for shelter from the cold and there was seven children froze to death, and who knows at this moment how much suffering there is in different parts of the south! 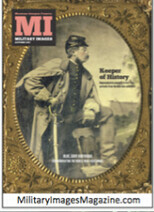 Nashville had 20-25 military hospital hospitals operating at any given time during the Civil War. At peak capacity, Nashville hospitals had roughly 14,000 men being treated, including hundreds of Confederates, even during the Union occupation that began in February 1862. Nashville was the second largest military hospital network devoted to Union-use. Only Philadelphia had a larger military hospital system. As large as the Nashville military hospital system was, it could still could handle the amount of casualties that strained her capacity. Thousands of wounded and sick Union soldiers were initially treated in a Nashville hospital and then routed to Evansville, Louisville or Jeffersonville for care in their respective hospitals. 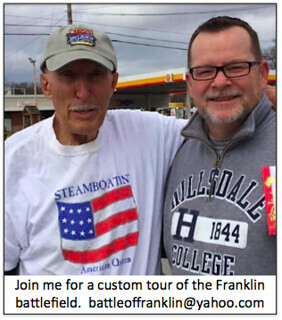 Many Union casualties from the Franklin-Nashville campaign were taken to Louisville for medical care. 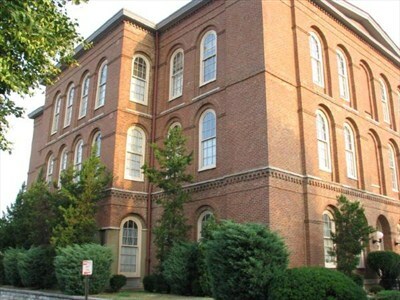 One such Louisville hospital was #8, which later became known as the Monsarrat School (below). Hospital #8 in Louisville, later known as Monsarrat School. Joseph Meyer was 23 years old when he enlisted in October 1864, Co.B., was mortally wounded at Franklin, died of wounds on 12/6/64 at Jeffersonville, Indiana. Buried at New Albany National Cemetery (IN), Gravesite B-86.